The current location of the Toyota/Lexus dealership at Leslie and Eglinton was once home to The Inn on the Park, and on that same property was a Sports Clubs of Canada facility, and within that fitness club was a cafe that served hearty morning glory muffins. I was around 6-years old when these muffins came into my life, emerging from the playroom to join my mom for a post-workout breakfast. In my somewhat foggy childhood memory, I remember the muffins being full of tasty bits, each bite like a treasure hunt. They were also super-sized, which made them all that much more appealing to my small self. 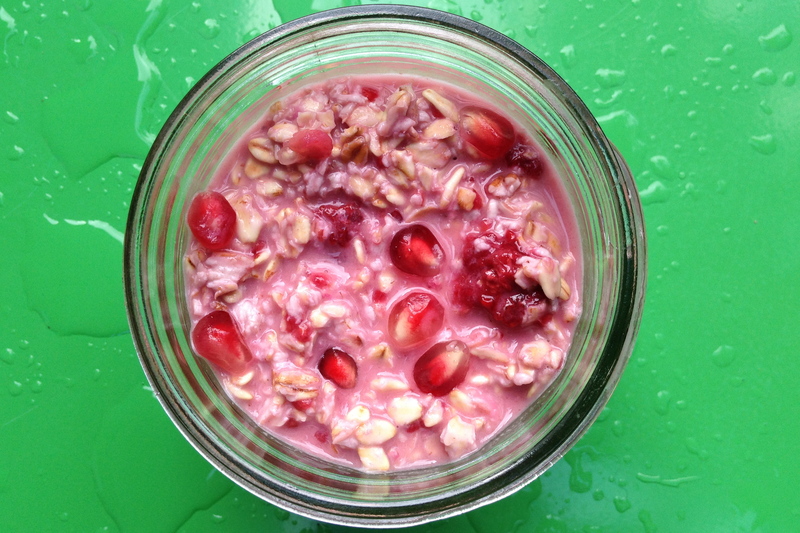 Looking to recreate a compact breakfast treat that was both tasty and wholesome, I experimented until I landed on this version. With the wisdom of age, I now prefer them as mini muffins (yes, it’s okay to eat two! ), so this recipe makes 24 small ones. You can use walnuts instead of pumpkin seeds, dates instead of apricots, or raisins instead of cranberries – work with the flavours you like and what you have in your pantry. These muffins freeze well, so I will make up a batch and then wrap them in sets of two or four to be easily defrosted at a later date. 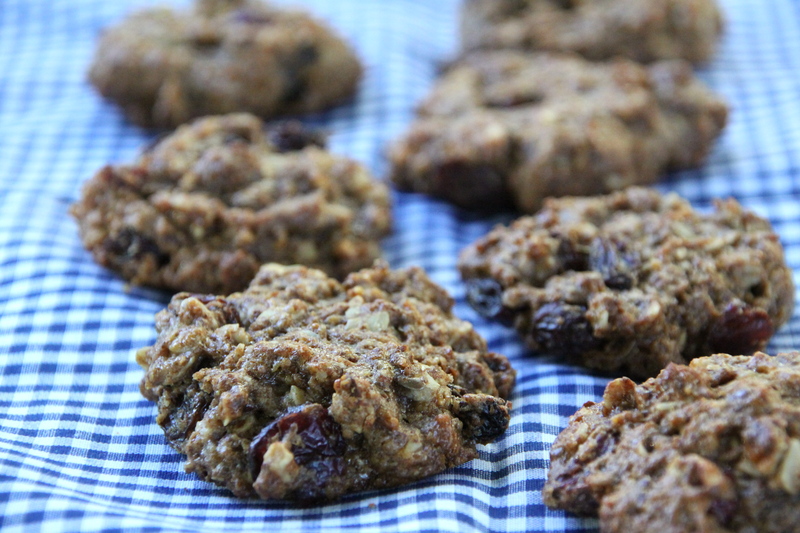 In a large bowl, stir together flours, oats, baking powder, baking soda, spices, and salt. In a separate bowl, whisk egg, buttermilk, brown sugar and oil until smooth. Pour wet ingredients into bowl with dry ingredients. Stir to combine. It may seem dry, but the addition of the grated fruit and veggies will fix that. Add shredded carrot, apple, and zucchini. Mix until all incorporated. Gently stir in dried fruit and seeds. Line a mini muffin tin with paper cups (I prefer the Paper Chef parchment liners). If you don’t have liners, lightly grease the muffin tin with vegetable oil. Spoon batter into prepared muffin tin, filling each to the top. Bake for 15-17 minutes. The muffin tops should be firm and golden. Pierce a muffin with a toothpick – it should come out clean with no batter when they are cooked through. Remove from oven and transfer to a wire rack to cool completely. Store in an airtight container for 2-3 days, or store in the freezer and then take out the night before so they will be defrosted and ready for breakfast the next morning. 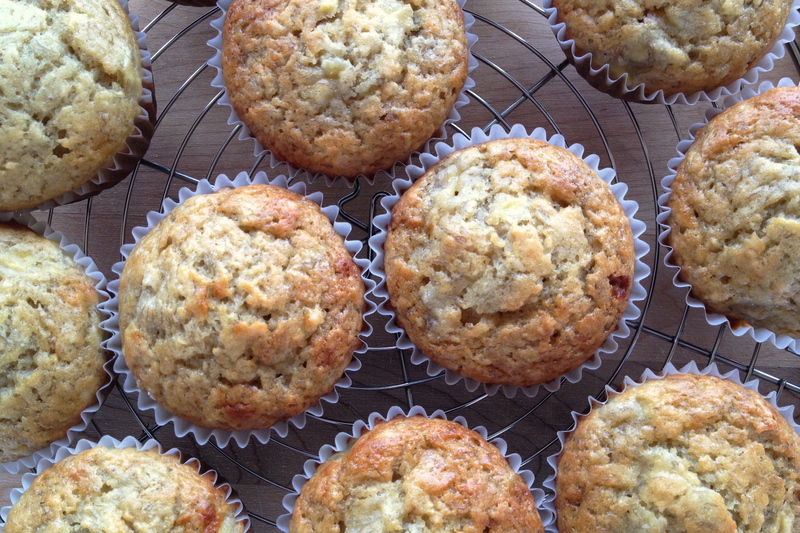 We’ve had a lot of overripe bananas lately, which means lots of banana bread and banana muffins. I’ve been playing with the recipe, as I found some batches to be a bit flat and a bit dry, especially the next day. There was one loaf where I added maple syrup and peanut butter – too sweet. 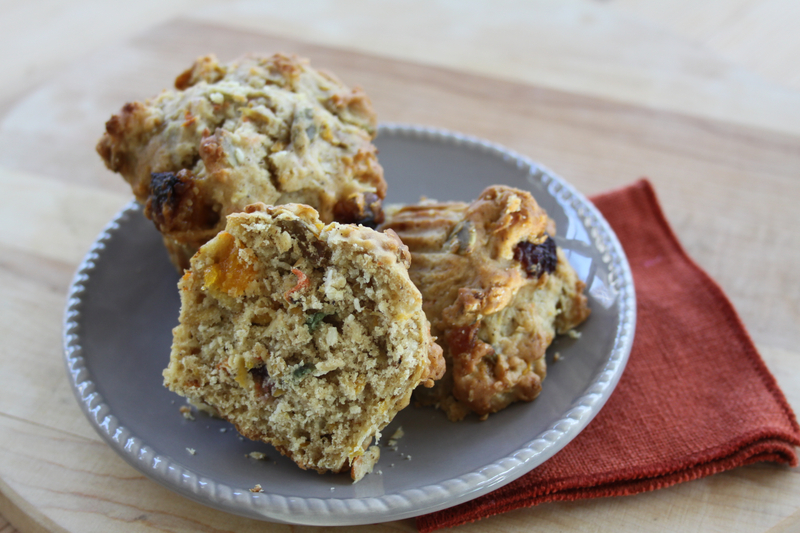 Some muffins with just peanut butter – better. In the most recent batch I added some buttermilk and was very happy with the result. Even on day 4, the lone remaining muffin of the batch was still tasty. Below is the updated recipe, with changes noted in italics. Mash bananas in mixing bowl. Stir melted butter into bananas. Add buttermilk and stir to combine. Blend in sugar, egg, and vanilla. Add the baking soda and salt and mix in well. Lastly, stir in the flour until well blended. If you are adding chocolate chips, walnuts, or cranberries, add them now and stir into the batter. Pour mixture into a buttered loaf pan. If making one large loaf, bake for 50-60 minutes. If using three small loaf pans, bake for approximately 30-40 minutes. Muffins will rake about 20 minutes. Every oven can run a bit differently, so I like to check on the loaf about 10 minutes before the suggested time to make sure it’s not overdone and then let it finish if it needs a bit more time. Slide a toothpick into the centre of the loaf to check if done – if toothpick comes out clean then loaves are cooked all the way through. Transfer to wire rack to cool. Store in airtight container or wrap tightly in aluminum foil. These also freeze well – wrap in saran wrap and then in a freezer bag. These ‘fries’ are a nice alternative to potatoes for a side that is warm and salty with a little crunch. Plus, they’re a great way to use up leftover polenta. And they’re gluten-free. To make the polenta, bring 3 cups water and ¼ cup milk to a boil. Add the salt. Then add the cornmeal, stirring constantly as you add to the pot. Reduce heat to medium-low. Stir, stir, stir. This one requires constant attention to avoid lumps. I find a spatula works best so that you can scrape down the sides and bottom of the pot as you stir continuously. If you find your polenta is really bubbling, turn down the heat to low. You want a creamy, thick consistency. Just keep stirring. Timing can range, but it may take 20 minutes (it’s a good arm workout). When the polenta is quite thick – challenging to stir and retains its shape if you pull up a peak with your spatula (like whipped cream) – and then remove from the heat. Line a rimmed baking sheet with parchment paper and spread the polenta onto the baking sheet. You want a thin even slab. It’s okay if it does not fill the entire sheet (it will probably fill about half). Allow to cool to room temperature and then cover and chill in the fridge for at least one hour, or preferably overnight. To make the fries, remove set polenta from the fridge. Preheat your oven to 450F. 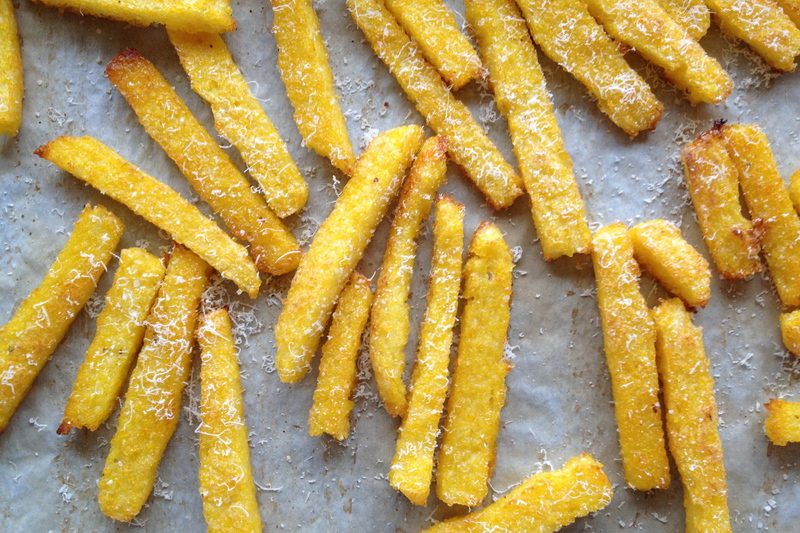 Cut polenta into thin even rectangles or wedges, depending on what shape you want your fries to be. Transfer to a parchment lined baking sheet. Lightly brush fries with olive oil. Sprinkle with salt. Bake in the oven for 10 minutes, then flip the fries and bake for another 10 minutes. They should be crispy and start to go golden around the edges. Remove from oven and sprinkle with Parmesan cheese. Return to oven for one minute to warm the cheese. Add a final dash of salt and pepper before serving. I like hummus with carrot sticks and sliced cucumber as an afternoon snack. Falafel with homemade tzatziki sauce – yum! But beyond those two dishes I often look at the can of chickpeas that has been hiding in the back of my pantry for who knows how long and wonder what to do with them. Inspired by this great Moroccan-influenced recipe on the food blog 101 Cookbooks, I made up a light chickpea salad for lunch the other day. 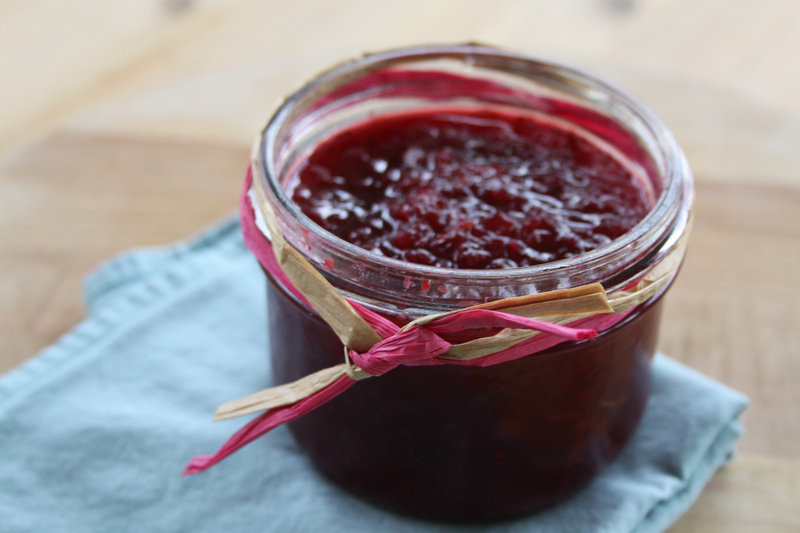 It’s quick to put together, zesty and light, and easily portable for a summer picnic. Whisk the dressing ingredients together and set aside. 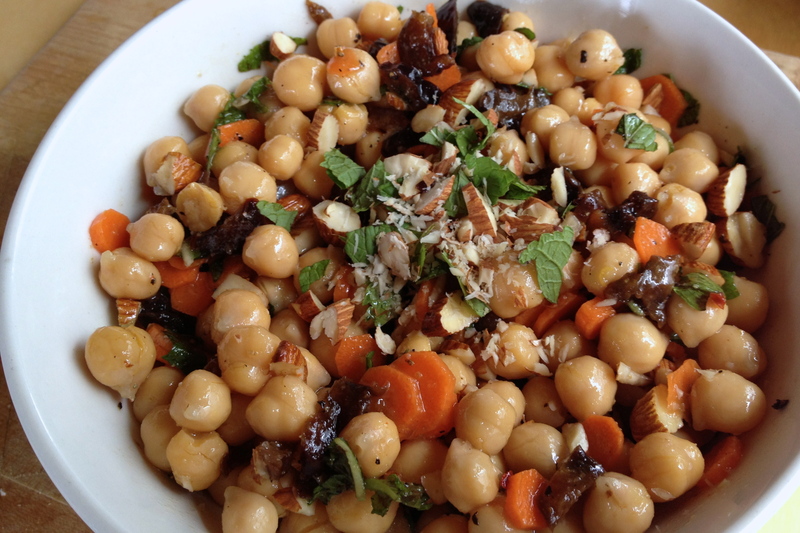 In a medium sized bowl, combine chickpeas, carrots, dried plums and 1/4 cup mint. Add three quarters of the dressing and stir. Depending on how wet you like your salad, add more dressing until it suits your liking. Taste and adjust salt and pepper seasoning as needed. Salad can be stored in the fridge until ready to serve. About 20 minutes before you’re ready to enjoy your chickpea salad, remove from fridge and sprinkle with chopped almonds and remaining mint.